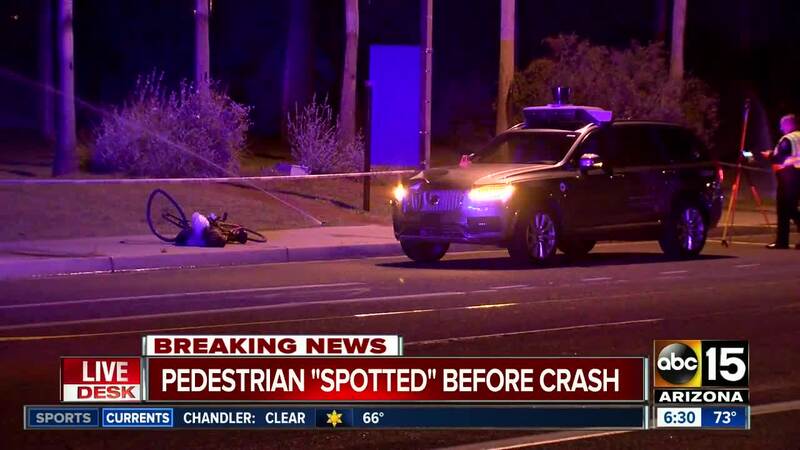 Federal investigators say the autonomous Uber SUV that struck and killed a Tempe pedestrian in March spotted the woman about six seconds before hitting her, but didn't stop because emergency braking was disabled. In a preliminary report on the crash, the National Transportation Safety Board said Thursday that emergency braking maneuvers are not enabled while Uber's cars are under computer control because it reduces the potential for erratic behavior. From the NTSB preliminary report: "At 1.3 seconds before impact, the self-driving system determined that emergency braking was needed to mitigate a collision. According to Uber emergency braking maneuvers are not enabled while the vehicle is under computer control to reduce the potential for erratic vehicle behavior. The vehicle operator is relied on to intervene and take action. The system is not designed to alert the operator." In March, Elaine Herzberg, 49, was struck by the self-driving Volvo SUV while she was taking her bicycle across the street . Dashboard footage from the vehicle showed the driver, who appeared to be distracted, looking down moments before the crash occurred. 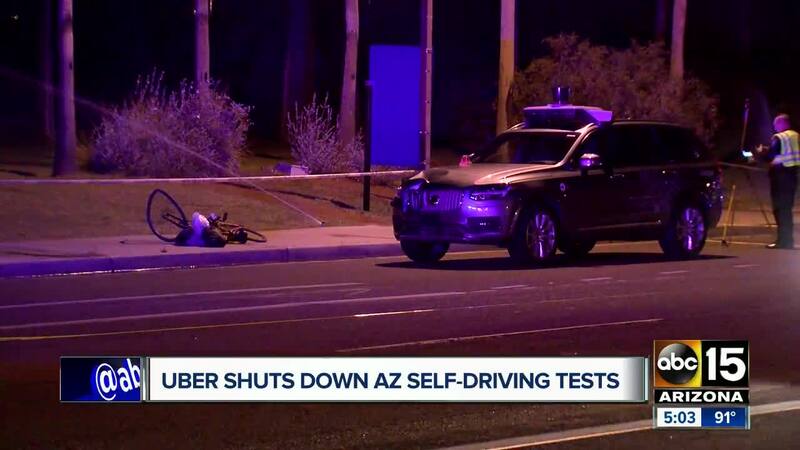 On Wednesday, Uber announced they would be "winding down" testing of autonomous vehicles in Arizona. 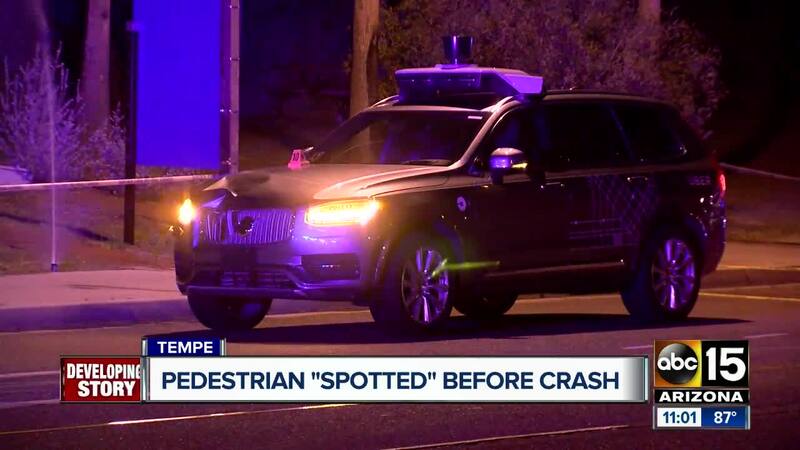 Around 300 employees involved with the self-driving program in Tempe were notified Wednesday morning. Uber plans to restart testing their self-driving cars this summer. They will be “doubling down” on self-driving operations in Pittsburgh and San Francisco, Uber confirmed.